On 20-22 June 2018, the High Level International Conference on the International Decade for Action “Water for Sustainable Development”, 2018-2028, met in Dushanbe, Tajikistan, to discuss how to achieve the objectives of the Decade in order to support the implementation of the 2030 Agenda for Sustainable Development. 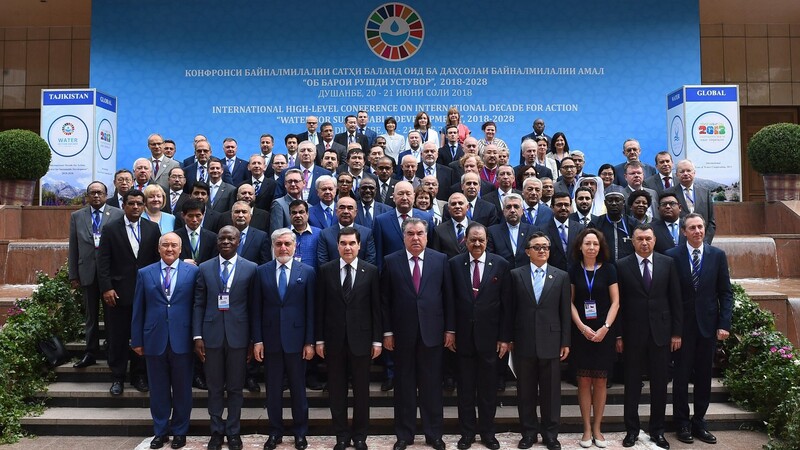 Heads of States and Governments, ministers and other high-level delegates together with representatives of international and regional organizations, civil society, private sector and academia took part in the event. UNESCO was widely represented by its International Hydrological Programme, World Water Assessment Programme, the UNESCO Almaty Cluster Office and a number of UNESCO’s category 2 Water Centres and Water Chair. The UNESCO Almaty Office contributed to the successful implementation of the Conference with organization of a preconference forum on Climate and Water Dialogue. The dialogue resulted strategic to provide guidance on the Central Asian key issues on climate change with particular emphasis to glaciers melting, as well as it ensured introduction of the glaciers element to the Conference agenda. UNESCO, in cooperation with other partners, organized two Action Panels: on Water Quality ecosystems and on Capacity building. UNESCO representatives and UNESCO’s category 2 Centres took active part in the Conference through delivering keynote speeches and participation in a number of thematic panel discussions on communication, advocacy and networking, climate change and disaster risk reduction (DRR), water sustainability in cities and human settlements and others. Due to UNESCO’s active participation, the Conference highlighted the role of science, capacity building and education, as well as knowledge and data to tackle water-related issues. Lead United Nations agency for water sciences and education, UNESCO through its major international scientific programmes, including the IHP and WWAP, UNESCO’s water related centres and chairs, will mobilize over 3000 experts around the world along with national stakeholders and communities towards the promotion of the Water Decade and implementation of its goals. 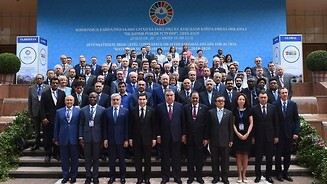 The participants of the Conference agreed to strengthen capacities, resources and skills, to improve knowledge generation and exchange of practices to support countries in achieving sustainable development goals, as well as to improve communication and access to practical water-related information and funding to empower communities at all levels. The Declaration also highlighted need to address water-related disasters by integrating science into policy and increasing investment in DRR.